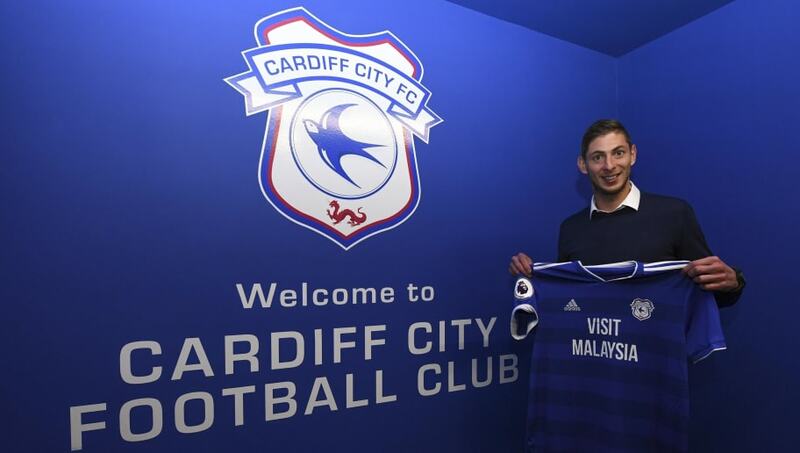 ​A light aircraft carrying new Cardiff City signing Emiliano Sala has disappeared over the English Channel. The plane, which was taking the 28-year-old striker to Cardiff from Nantes, lost contact with air traffic control at around 8pm on Monday, failing to arrive in South Wales shortly before 9pm as scheduled, with the French Civil Aviation Authority confirming that the Argentine was on board the missing aircraft. A Guernsey police statement on Tuesday morning read: "A search and rescue operation is currently underway off the north of Alderney after a light aircraft disappeared from radar several hours ago. Two helicopters alongside the Guernsey and Alderney lifeboats are searching for it." Speaking to Argentine TV station C5N (via ​Marca), Sala's father said: "I was working, I can not believe it, I'm desperate. I hope good news comes in. I do not know what could have happened, my family did not know anything, I told them." Meanwhile, the ​BBC report that there is 'genuine concern' for the striker from Cardiff City, who are still seeking clarification of the situation. Cardiff chairman Mehmet Dalman said: “We are very concerned by the latest news that a light aircraft lost contact over the Channel last night. We are awaiting confirmation before we can say anything further. We are very concerned for the safety of Emiliano Sala."